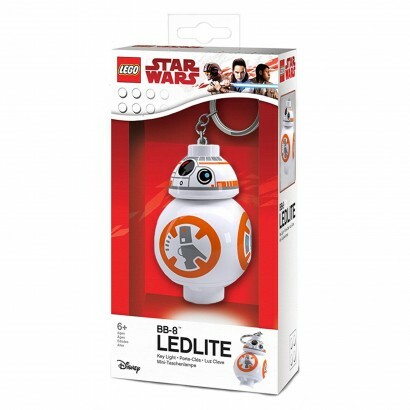 Lit by a bright white LED, Star Wars favourite droid BB8 shines like a beacon through the darkness to guide you on your adventures. 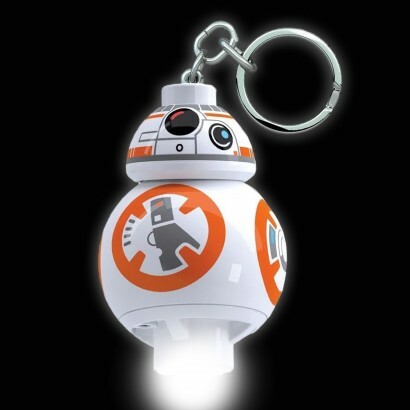 Just the right size to clip onto keys or bags, BB8 is lit with a bright white LED that shines from the base to provide emergency lighting, whether you're looking for a darkened keyhole or you're investigating darkened areas, BB8 IS the droid you're looking for! 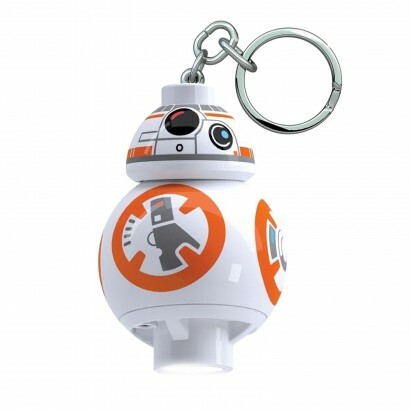 Touch sensitive, gently touch his belly and BB8 will illuminate for up to 7.5 minutes before switching off again.